Not the best plan. Apparently, Maginhawa wakes up at around 2pm – same as most lazy students like me before. Luckily, we stumbled at Theo’s. 🙂 The ambience was good, the service acceptable, the food, well, if you have another choice, go to the other choice. Sorry. 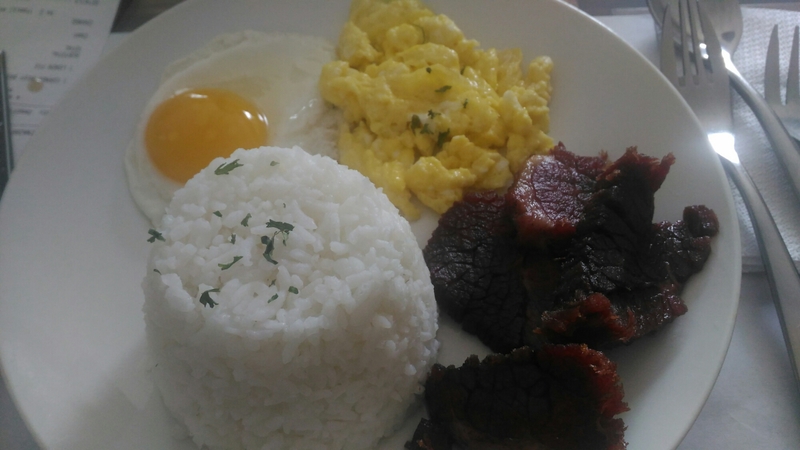 @PHP130ish, beef brisket. Howard always talk about his mom’s brisket, and I thought this was it. I don’t think it is. @PHP80ish, a cheap cake and not really worth the calories. 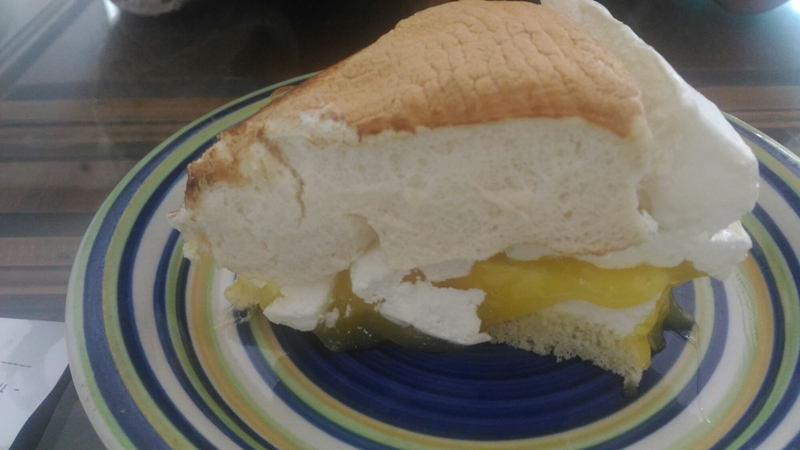 The entire top falls off the lemon spread. And yes, it seems to simply be a lemon spread.